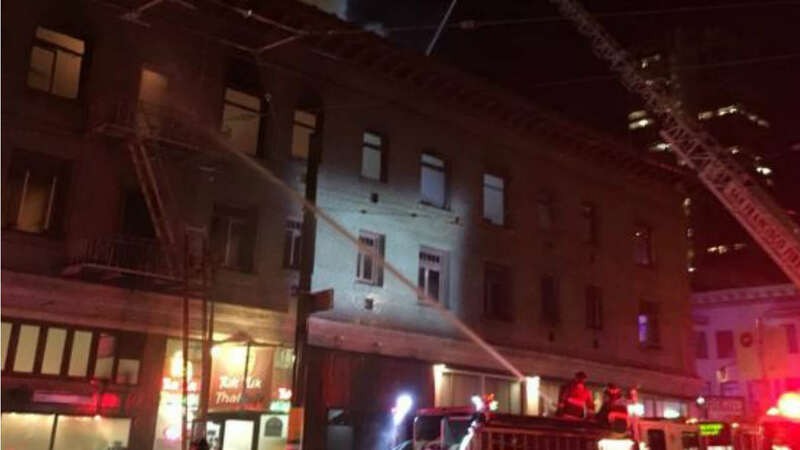 SAN FRANCISCO (KGO) -- Firefighters in San Francisco are battling a 4-alarm fire in the city's North Beach neighborhood tonight. The fire was reported at 659 Union Street and flames and smoke could be seen from across San Francisco. Stay with ABC7 News for more on this breaking story.